Damascene keyrings and keychains. Damascene jewelry by Midas from Toledo in Spain. 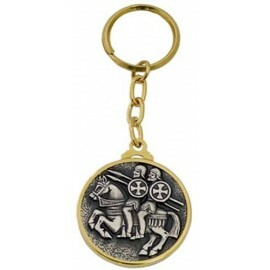 Damascene Keyrings There are 10 products. 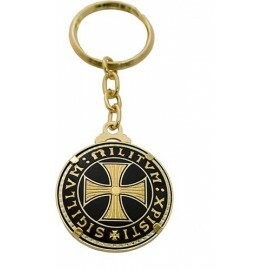 Damascene Templar Cross Keychain Single faced. 24K gold damascene artwork. Templar cross. Medieval, Knight Templar jewelry. Sigillum MIlitum Xristi. Damascene Templar Cross Keychain, double faced. 24K gold, damascene design. Sigillum militum xristi. Medieval jewelry. Templar collectibles. Damascene Gold Star of David Double Face Keychain Damascene Jewelry by Midas of Toledo Spain. Religious Judaic jewelry. 24K Gold damascene design. 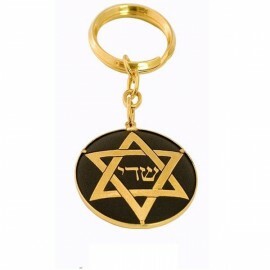 Damascene Gold Star of David Keychain Damascene Jewelry by Midas of Toledo Spain. Religious Judaic jewelry. 24K Gold damascene design. Templar Seal Keychain. Seal of Knights Termplar-two knights on a horse. Christian symbol. Medieval jewelry. Templar collectibles. Religious Christian Jewelry. 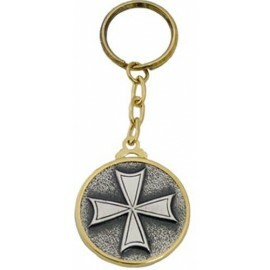 Templar Order Cross Keychain. Cross of Knights Templar. Medieval jewelry. Symbol of Christianity, service and loyalty. Templar collectibles. 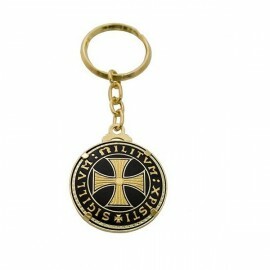 Teutonic Order Cross Keychain. Cross of Teutonic (German) knights. Medieval jewelry. Templar collectibles. 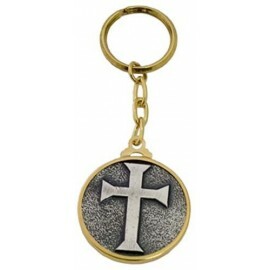 Cross of Saint James Keychain. Cross of Cross of the Order of Santiago, knights of Saint James. Medieval jewelry and collectibles. 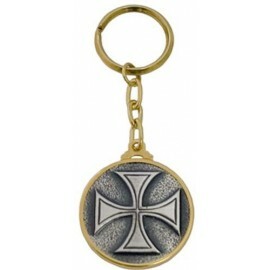 Hospitaller Order Cross Keychain. Cross of Knights Hospitallers. Maltese cross. Medieval jewelry and collectibles. Cross of Knights of St. John. Calatrava Order Cross Keychain. 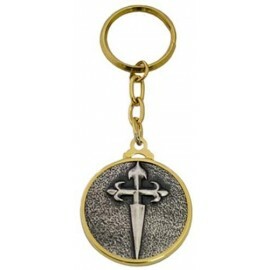 Keychain of the knights of Calatrava, Spanish military order. Golden Keychain. Religious Christian Jewelry. Medieval Jewelry. Templar collectibles.